Something that came to me yesterday… not words I normally use. I like to focus on the Healing, not the disease. In fact most of my time and focus is on healing… especially these last three years. I remember the end of 2012 (year before last now!!) after I had that nasty fall in the bus… I was in a lot of pain and discomfort… difficult with walking and doing daily chores. It really did a number on my nervous system. I embarked on a three-month intensive (having already been two years into a healing journey)… I was going to ‘heal myself of Post Polio’ … yes, a major undertaking. The body, my body… is made from the materials of the Earth… and the wisdom from the Stars. It’s a super amazing creation… constructed with divine intent. It’s pretty awesome… so much more that we realize most of the time. But it is made of Earth materials… and all Earth materials at some point recycle… we are all governed by the natural law, of death and rebirth. My body was invaded by a nasty virus… it entered my body and affected its functioning. The medical profession was taken by surprise; they really didn’t know how to respond to such attacks. How to support the body’s natural healing ability. We are still learning this. This nasty virus came and affected many, mostly children were susceptible. It was called an epidemic. The physical effects of the virus were clearly visible… children paralysed, on crutches… wearing leg irons. The Polio generation. Many children died. I was told I was one of the lucky ones. I remember the doctors ‘displaying’ me, as one of their ‘success’ stories. I was paralysed, but I recovered… well with the help of a leg iron, I could walk. Was it because I didn’t die or remain in an iron lung… that they called it a ‘success’? I don’t know. 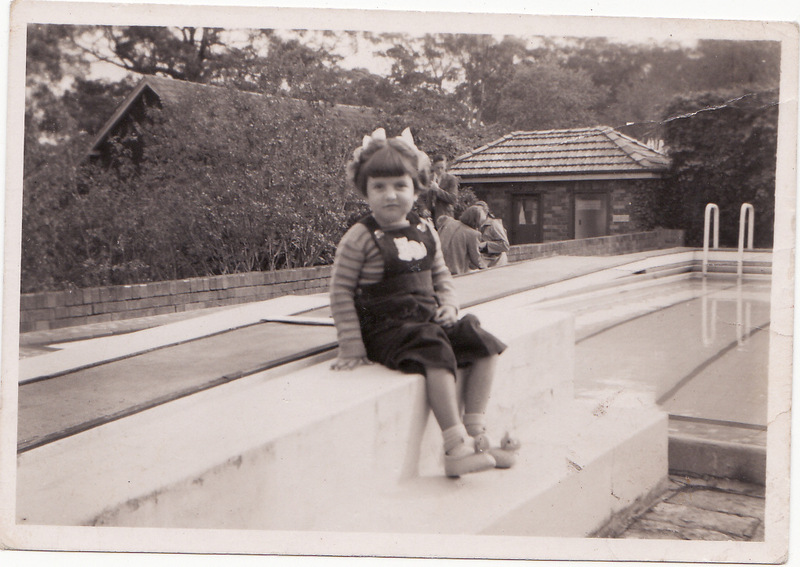 I remained in hospital for a year… first in Camperdown Children’s Hospital, where I was first admitted (the contagious unit), then The San, the Sanitarium, for rehabilitation. It was many years later that I discovered that The San was Sanitarium Health Food Products… which I purchased often in my early years. The San was also known as a Health Resort, offering Hydrotherapy and Massage… this was 1951. They also grew their own fruit and vegies… we had meals from the garden. My early introduction to healthy living. I don’t remember much from that time… memories are still buried deep. A few glimpses I’ve had… like the ‘atmosphere’ of fear, children leaving their bodies… and at certain times I’ve heard these chilling screams. But all the rest is locked away… it may return one day. Its 2014, sixty three years have passed since that time. I’m moving into later cycles. I’ve had a life, like many, I guess… full of both beautiful moments and traumatic experiences, life on planet Earth. I’ve been able to lead a relatively ‘normal’ life… ‘they’ would be proud of me. That’s how we were instructed… ‘go out and be normal’. You speak to anyone who personally encountered Polio… and they’ll remember the ‘normal’ word. Well, I guess it was the 1950’s… the decade of being ‘normal’… it was marketed on every billboard. So a lot of energy was placed… in being normal. Looking back now, what a strain that was. How can you have a normal body, when it’s not quite normal anymore? Oh yes… the old mantra, just keep working, ignoring, don’t focus on any ailment… that makes you a good person, an upstanding citizen… denial on a massive scale. Or was it just to appease the discomfort… people are not comfortable with any form of disease or disability. I watched a doco on the Polio Epidemic in the US… they spoke about the fear, the intense fear that filled the streets, the towns and cities… the fear of Polio saturated the air. Then they said… that the fear wasn’t about dying (as many did with the virus)… the fear was about disability, becoming disabled… this shocked me. I’m very grateful that my major focus is on healing… well, I am a Virgo (The Healer), with a ‘Healer’ personality; I’ve had an interest in health since a very early age. It’s been a major focus of mine… most of my life. Love and compassion… for myself…. well it’s well over a week….